Award-winning filmmaker and Guggenheim fellow Heather Courtney returns to her hometown of Houghton to share her new documentary, The Unafraid. She will participate in a Q&A following the screening. Her film Where Soldiers Come From won an Emmy, an Independent Spirit Award, and a SXSW Jury Award. The film received positive reviews from the New York Times and the Washington Post, and was broadcast nationally on the PBS program POV. It made several Top 10 films of 2011 lists, including Salon’s Best Non-fiction, and was supported by many grants and fellowships including from ITVS, the Sundance Documentary Fund, the United States Artists Fellowship, and POV/American Documentary. Heather was also a fellow at the Sundance Edit and Story Lab. She has directed and produced several other documentary films including award-winners Letters from the Other Side and Los Trabajadores/The Workers, both of which focused on immigration issues, and were broadcast nationally on PBS. She has been funded by ITVS, the Sundance Documentary Fund, the Ford Foundation, the MacArthur Foundation, Latino Public Broadcasting, and the Austin Film Society. She was also the recipient of a Fulbright Fellowship and an International Documentary Association award. Her most recent film, The Unafraid, about DACA students fighting for their education and their families in Georgia, was co-directed and produced with Anayansi Prado. It premiered in April 2018 at the Full Frame Documentary Film Festival and won the Human Rights Award. 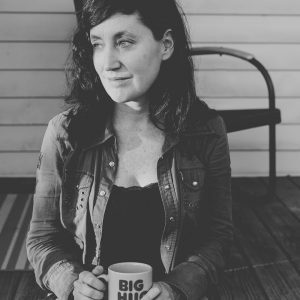 Heather Courtney and The Unafraid are being partially sponsored/funded by the Visiting Professor Lecturer/Scholar Series (VPLSS) which is funded by a grant to the Provost’s Office from the State of Michigan’s King-Chavez-Parks Initiative.